Think about Lolo. Brave, gentle, patriotic Lolo. Languishing in a Chinese prison, serving a six-year sentence for singing these stirring words of hope and encouragement. How would he feel if he knew that had he sung those same words in exile, he would now be reviled, branded anti-Dalai Lama, hounded by trolls on social media, and pressurized by our own government to refrain from using words like ‘independence’ (rangzen)’? What would beautiful, noble, serene, Ani Sangay Dolma think, making the ultimate sacrifice for our country, with a smile on her lips and rangzen written on her hand, if she knew that in exile, her sacrifice would be in vain, for she too, daring to articulate the banned word, would be cast among the disbelievers, the unity-breakers, the anti-Dalai Lama clique? And what of all the others – the self-immolators, the demonstrators, the resistance fighters, the thousands over the decades who gave up their lives fighting for Tibet’s independence and for the safety of His Holiness – what of their sacrifice and the cause they fought for, and continue to fight for? Can we exile Tibetans look them in the eye and honestly tell them that today, as rangzen activists, they are no better than the enemy? How have we descended to this absurd, illogical and unthinkable situation? Do we really believe that unity can be enforced through intimidation and the threat of upsetting His Holiness? I have watched with increasing horror as the space for reasonable debate and discussion in our society has been systematically shut down in recent years. Rangzen supporters have been vilified and ostracised, tarred by the convenient brush of being anti-Dalai Lama. I need not recount here the many attempts to enforce this new regime, from targeting individuals to pressurizing groups like TYC and SFT to change their pro-rangzen stance to the recent shameful events at the 10 March commemoration in New York. It is no secret that I am a rangzen supporter. I have written several articles since 2006 outlining my reasons for questioning the long-term viability of the Middle Way Approach and emphasising the importance of reinstating the goal of independence as the cornerstone of our struggle (for those interested, I have provided links at the end of this article). If anything, I believe there is an even greater urgency today to review the Middle Way Approach and rethink the direction of our national struggle. These are my opinions, based not on wishful thinking and emotional immaturity as some would like to believe, but on my own reasonable analysis of the situation. You are welcome to accept or reject them. And as long as we can have a civilised discourse, I will respect your views even if you disagree with me. But I want to make one thing absolutely clear: to support rangzen is not to be anti-Dalai Lama. How much clearer can that statement be? To believe in the goal of rangzen is not a sign of impractical idealism, emotional confusion or an automatic endorsement of violence. These insidious and destructive accusations are tearing apart the very fabric of our community, ripping our movement into shreds and making a mockery of our long and hard-fought struggle against the injustice of the Chinese occupation. In a democratic society, a plurality of views and the right to freely express them is supremely important. In a tiny community like ours, striving to make the transition into a functioning democracy, it becomes all the more urgent to correct this course towards authoritarian bullying. That this should be happening at a time when His Holiness has devolved his political authority and we have elected our first Sikyong is, perhaps, not surprising. The sudden vacuum left by His Holiness as our political head rendered us insecure and uncertain and our immediate response was to hold on to him even more tightly than before. In our attempt to prevent him from leaving us to our own devices, we redoubled our efforts to prove to him that we were loyal, committed and devoted to him. And one manifestation of this painful separation anxiety may well be the hardening of attitude towards those deemed to be disloyal to him. But surely, when His Holiness made the difficult decision to withdraw from politics and once and for all sever the tie between religion and politics, he understood that he would be throwing us into some disarray, that there would be a period of introspection and uncertainty, but that the mechanisms of democracy that he had established would eventually overcome them? When His Holiness set into motion the chain of reforms that ended with the devolution of his political authority, he was clear that what he wanted in place of centuries of theocratic rule was a system of governance more in tune with the 21st century: a secular democracy, a government where religion was completely separated from politics. This may be why he refused for himself even a figurehead role as head of state in the new government. He recognised that in order for Tibetan society to evolve and become a genuine democracy, the era of theocratic rule would have to be definitively and decisively terminated. No vestige of our past political system could remain if a new start was to be successfully made. Of course, while His Holiness is alive, he knows fully well that he is there to guide, counsel and offer us his support, so the need to codify his role in a formal political sense, even as a figurehead, doesn’t arise. His concern is for the future, when he will no longer be there for us. And the only way we can legitimately carry on his legacy and represent the people of Tibet is if we have successfully established a secular democracy. This is truly visionary thinking on His Holiness’ part and it is our responsibility to do our best to fulfil it. This then brings me to Lukar Jam Atsok and his candidacy for Sikyong. Of course, as a rangzen activist, I am happy to have a candidate that supports my own views about the Tibet struggle. There are many good reasons why he is a valid candidate for the post but I will not go into them here for this article is not about promoting his campaign but about our larger democratic process. I will certainly vote for him, but in one sense, whether he wins or loses is unimportant to me. What is significant is that by throwing his hat in the ring on a rangzen platform, he has taken advantage of the democratic rights bestowed on us by His Holiness and broken the taboo of being a rangzen supporter. This is a bold and courageous step on his part, given the current vitiated atmosphere against anyone daring to speak out in support of rangzen. As a candidate, he can bring to the open the debate around the Middle Way Approach and rangzen that has been increasingly silenced in our community. And hopefully, his campaign will pave the way for a more forward-thinking generation of politicians who will stand on their own merits and ideas rather than forever hiding behind the smokescreen of what they believe are His Holiness’ wishes. And in doing so, I have no doubt that Lukar Jam Atsok is furthering His Holiness’ vision of a future Tibet that is a vibrant, secular democracy. 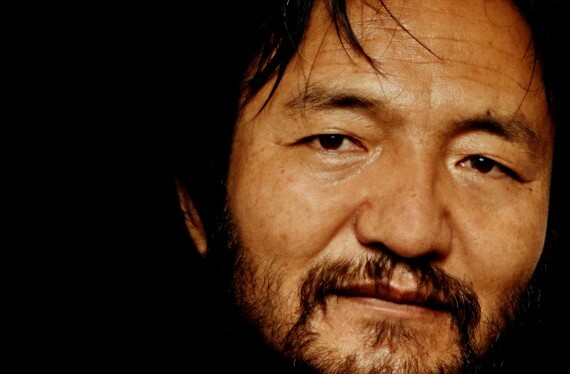 This is why his candidacy for Sikyong is so important for Tibetan democracy. So for the sake of Lolo, Ani Sangay Dolma and all the others still in prison, for those who have self-immolated on our behalf, and for those who came before us and died for our country, let’s stop this demonizing of rangzen supporters. Let’s give Lukar Jam Atsok a fair hearing and an unbiased platform to present his case. And of course, may the best candidate win!